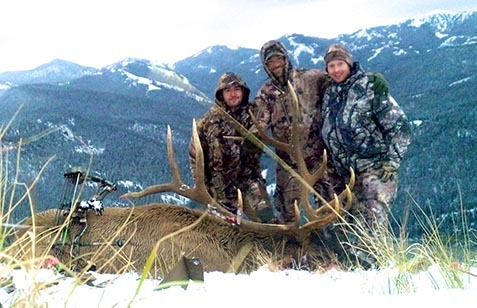 Although archery elk hunting is our expertise, Big Timber Outfitters is also your summer adventure getaway, with activities that include camping, hiking, horse and ATV trail rides, sightseeing, and outdoor fun! Hear more about the elk, mountain lion, or bear hunting seasons and license information by contacting us today at (208) 993-1688 or (208) 993-0194 in Salmon, Idaho. Big Timber Outfitters is not a ranch and not a park. 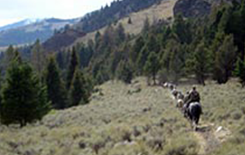 It boasts more than 180,000 fenceless acres for your elk and mule deer hunting pleasure. When starting off on a guided hunt with Big Timber Outfitters, you are accompanied by a friendly guide, stay in the comfort of a heated tent, and have a chance to encounter an abundance of game in our area. This wildlife includes elk, deer, mountain lion, bear, and goats. 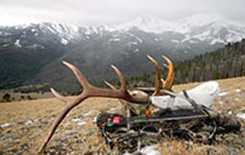 This is the hunting experience you've only dreamed about! Our expertise and professionalism is sure to create a sensational outdoor experience for those of all skill levels and interests. We are always here to ensure you know exactly what to bring when preparing for your guided hunts, and that you are well cared for during your stay with your hunting outfitter.